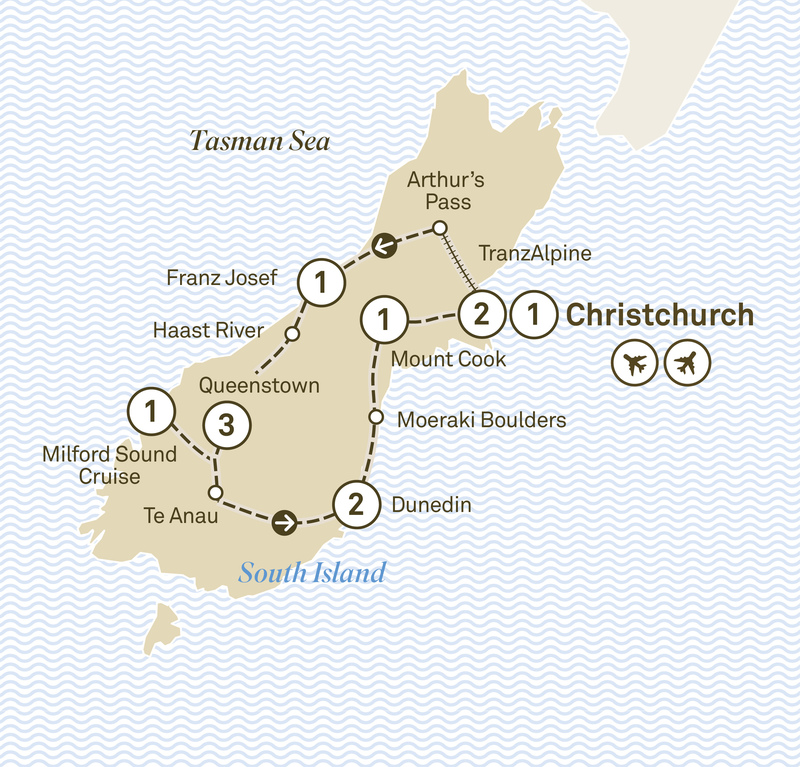 The South Island showcases some of its most spectacular scenery throughout its heartland. Head deep into the epic wilderness, tap into M-aori legends and sample some of the finest cuisine around. Beginning in Christchurch, you’ll have a chance to explore a city rejuvenating itself after the 2011 earthquake. Take one of the great rail journeys through the Southern Alps on the TranzAlpine before marvelling at magnificent Franz Josef Glacier. Head to Queenstown and indulge in the fantastic experiences on offer. Greet a new day in peaceful and serene Milford Sound. Surrounded by the majesty of Fiordland National Park, exploring this pristine part of the world will take your breath away. A visit to New Zealand’s oldest university city, Dunedin, with its Scottish heritage is the perfect way to round off this wonderful journey. Kia ora and welcome to Christchurch. The wonder of New Zealand begins here. Settle in for your two night stay.